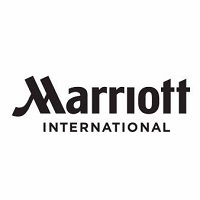 Overview: Marriott International portfolio of brands includes both JW Marriott and Marriott Hotels. Follow all company and safety and security policies and procedures; report maintenance needs, accidents, injuries, and unsafe work conditions to manager; complete safety training and certifications. Protect company assets. Speak with others using clear and professional language. Develop and maintain positive working relationships with others; support team to reach common goals. Ensure adherence to quality expectations and standards. Move, lift, carry, push, pull, and place objects weighing less than or equal to 50 pounds without assistance. Stand, sit or walk for an extended period of time. Reach overhead and below the knees, including bending, twisting, pulling, and stooping. Perform other reasonable job duties as requested by Supervisors.